2011 has been a year of frustrating, heavily delayed albums from hip hop's biggest stars. Game and Lil Wayne finally managed to release their respective projects over a year after the initial date was announced, while artists such as 50 Cent, Busta Rhymes and, of course, Dr Dre continue to promise albums that never materialise. Into this group can be thrown North Carolina native J Cole. Since becoming the first artist to be signed to Jay Z's Roc Nation label in 2009, Cole has been steadily releasing critically acclaimed mixtapes, particularly his hugely successful Friday Night Lights project, pitching the hip hop world into a frenzy over his oft delayed debut album. Well, that album is finally here, subject to the obligatory early leak and ludicrously titled Cole World: The Sideline Story. Can he deal with the sky high expectations, or does hip hop's saviour buckle under the pressure? The first notable feature of the album is the lack of guest appearances. In 19 tracks there are only space for 4 other artists; the prerequisite Jay Z and Drake verses, a Trey Songz hook and a welcome, if unexpected, return from Missy Elliot. Coupled with the fact that Cole produces all but 4 tracks, the project has a unique single focus not often found in big budget rap releases. This singularity of vision, however, is both a gift and a curse. The lack of variance in the production gives the LP a consistent feel, but at the same time many tracks are barely distinguishable from one another. Tracks such as 'Dollar and a Dream III', 'Sideline Story' and 'God's Gift' have both similar themes and laid back instrumentals as Cole discusses his troubles in reaching this stage of his career. This is not to say these songs are necessarily bad, they are simply not different enough to all be included on the album ('Sideline Story' is my personal favourite of the three). That criticism aside, some songs on the album are truly outstanding, fully justifying the hype weighing the rapper down. 'Lost Ones' is a sensitive back and forth between a newly pregnant woman and the father trying to convince her to have an abortion. The track is infused with the thoughtful substance sorely lacking in mainstream hip hop. More introspection can be found on 'Breakdown', where Cole discusses his relationship with his absent father with searing honesty, admitting that he hates him and at the same time cannot live without him. On a lighter note, tracks such as 'Mr Nice Watch' see the rapper hold his own against his mentor, Jay Z, over an electronic influenced beat. Neither contribution is likely to set the world alight, but the track provides a nice change of pace for the album. In a similar vein, 'Who Dat' is an under appreciated bonus cut, the single failing to make an impact on the charts when released over a year ago. 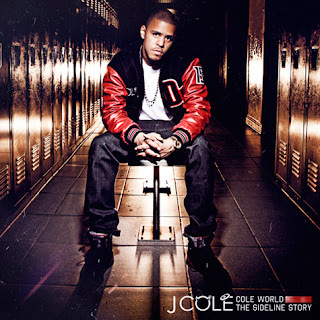 There are also numerous contributions for the female fan base, the single 'Work Out' finding Cole spitting over a funky Kanye West sampled beat while 'In the Morning' is a dirty slow jam featuring the usual tepid contribution from Drake. Not the classic that many were anticipating, but J Cole copes well with the expectation thrust upon him. As with many long albums, the track list could do with some fat trimming, but if Cole can continue to produce music to the standard of 'Lost Ones' or 'Breakdown', hip hop could yet have a new saviour. I thought he went to Lille. Who'd have thought? If "Lost Ones" and "Breakdown" are good enough to suggest hes the "savior" of hiphop why don't they merit a 10/10? Wow, Shelly is great, thanks for sharing this outstanding post with us. I am feeling exciting to rear this post, mesmerizing stuff here.